We took the afternoon cruise in January – during whale-watching season and were not disappointed, seeing a half-dozen whales. The boat is large and rides very comfortably. The boat has a large upper deck and spacious lower one, and even though there were well over 40 people, we didn’t notice the crowds. 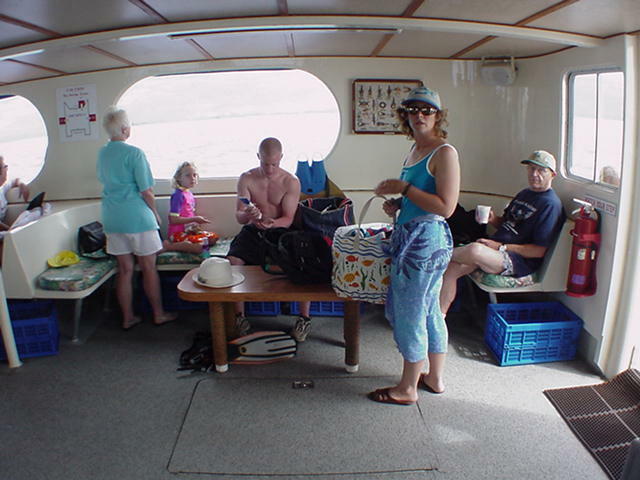 The afternoon cruise is shorter than the morning one, with less time to snorkel and limited food/snacks. 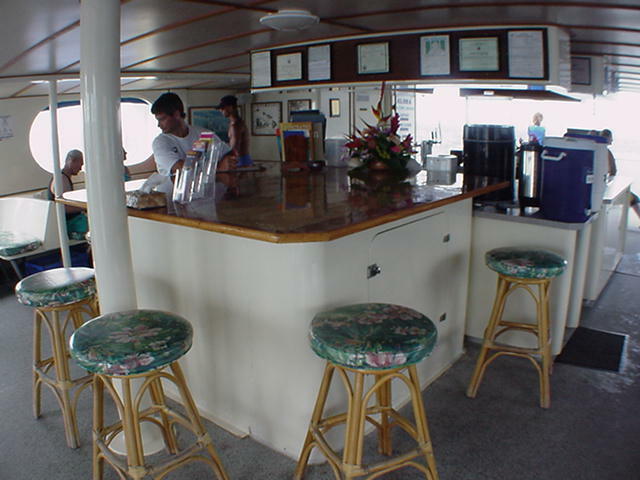 The morning cruise has a wider selection of snacks and a cooked lunch (burgers and a longer time for snorkeling. The boat has a water slide and on the top deck, a diving platform - a nice "fun" addition to the trip. This is a cruise-snorkel experience. It is great for beginners and for kids. 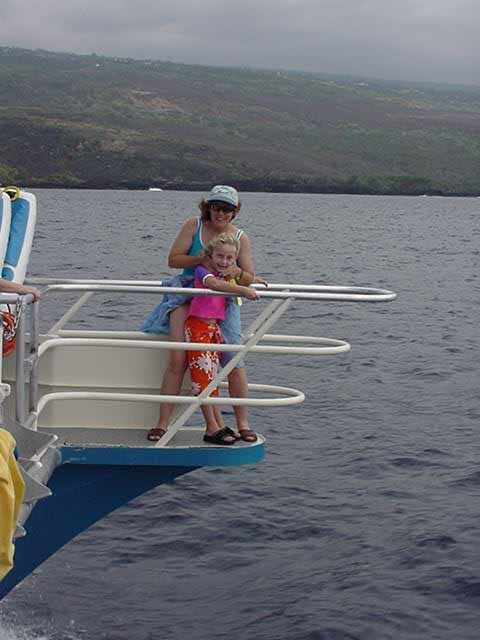 There are boogie boards, view-boards and inner tubes to help the swimmer All snorkeling gear is provided. The snorkeling area is quite restricted. On the land side of the boat, a layer of fresh water restricted visibility from the surface but was gone at 3 feet. 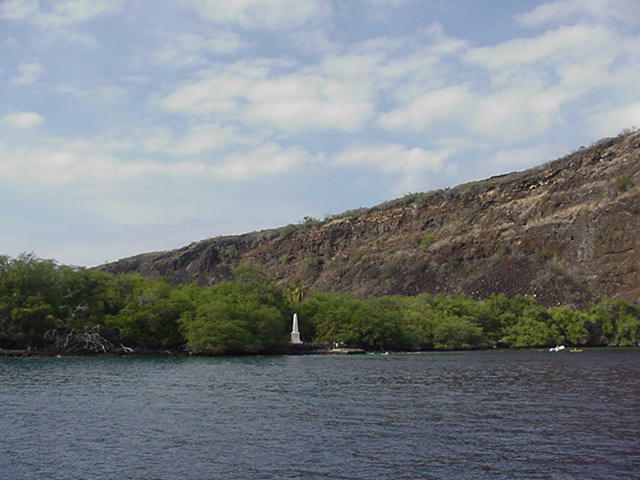 The snorkeling area was, and always is, very flat and calm as it is a very protected area. The crew was very helpful and courteous. 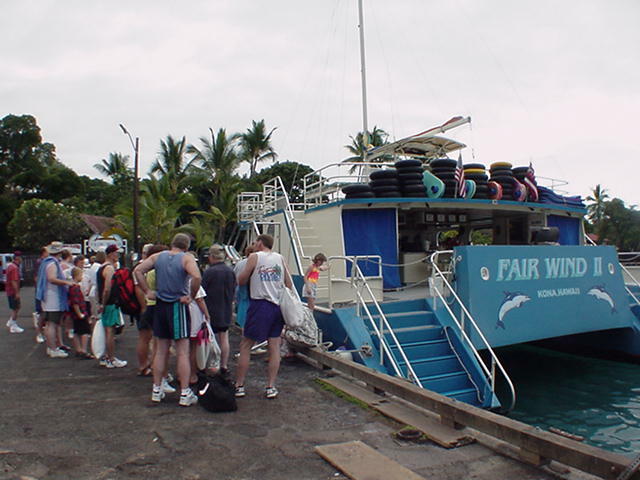 For a more advanced experience, the Fair Wind has smaller rafting trips. For more infomation see the Fair Wind web site.